PETERSHAM, Mass. 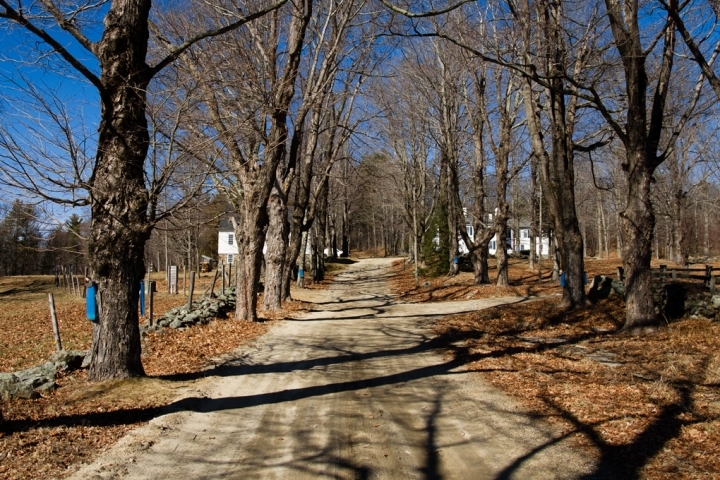 — Blue bags hang off the trees lining the road to Joshua Rapp’s sugar shack. On a brisk late February day, some bulge with maple sap while others sport little sap icicles. The blue bags are a little less romantic than the metal pails that Rapp’s forbearers hung off trees, but they have the benefit of being easily weighed and transported. Bags of sap hang from the sugar maples lining a road in Harvard Forest in Petersham, Mass. Measuring those blue bags is crucial for Rapp, a scientist at Harvard Forest in Petersham, Mass., who is studying the impact climate change is having on syrup availability and quality. Sugar maples generally have to be about 40 years old before they're ready to be tapped, which means the knowledge scientists are building now is incredibly valuable for the future of the industry. “We’ve been having huge flows early this season,” Rapp said, standing next to a maple syrup boiler as a sweet steam rose from the bubbling vat of syrup through the vent in the roof of the sugar shack. In what has been the warmest winter on record for New England, producers tapped trees two to three weeks earlier than usual. A little to the east of his sugar shack, Rapp said it was the “first time in memory” producers tapped their trees in January, an annual ritual usual relegated to the second or third week of February. Maple syrup production is intimately tied to the weather. Sap only flows when temperatures rise above freezing during the day and drop below it during the night. That temperature difference creates enough pressure to push sap out of the tree — one of nature’s amazing feats. 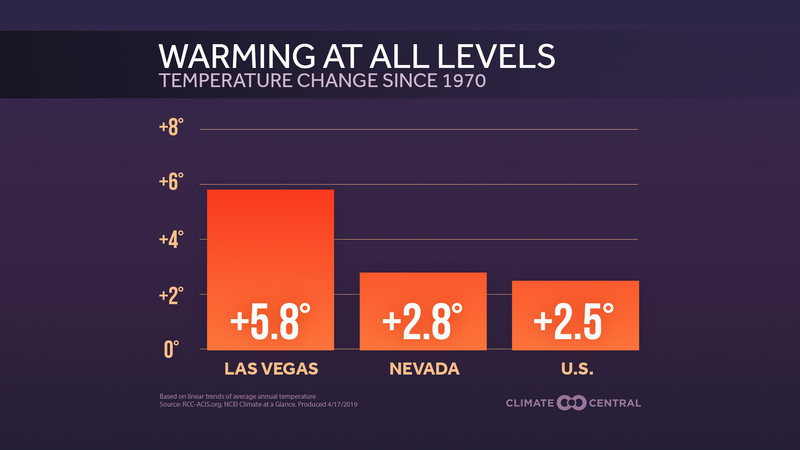 But warming driven by human-caused climate change is having an impact on these natural processes. The easiest one to spot is the shift in maple syrup season as winters have warmed by about 1°F (0.6°C) per decade across much of the Northeast since 1970. “In general over New York and New England, the season is now beginning about seven days earlier than it did 40-50 years ago and ending 10 days earlier,” Timothy Perkins, the director of the University of Vermont’s Proctor Maple Research Center, said on a phone call. New York and the New England states account for about three quarters all the maple syrup produced in the U.S., an industry worth $117 million in 2014. While a change in the dates of the season is notable, it’s not exactly going to bankrupt the industry. Warming on the southern fringe, however, is a major concern. 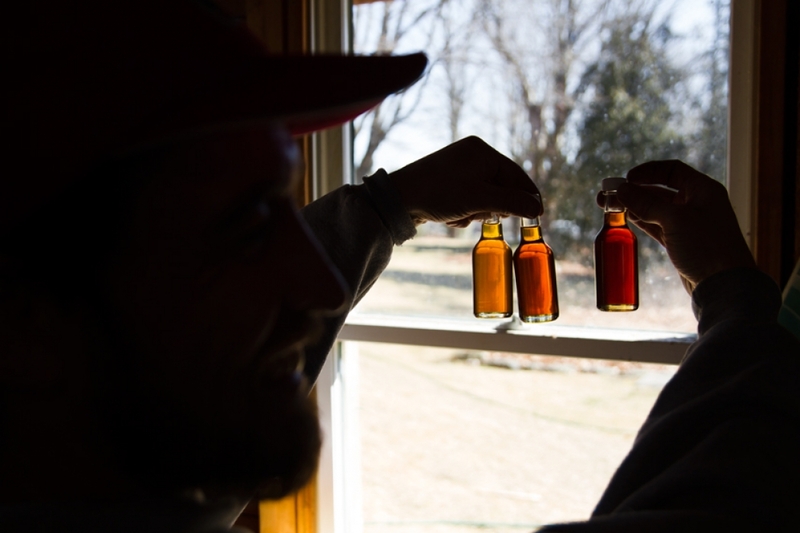 Virginia syrup producers are already tapping at the coldest time of the year and future warming could make even that time unsuitable for maple syrup production. Joshua Rapp, a researcher at Harvard Forest, looks at the differences between syrup produced in three different weeks in 2016. Even in the syrup strongholds of New England and eastern Canada, warming could have an important impact on the amount of sap produced and its quality. That’s why each week, Rapp weighs the bags and then proceeds to prepare that week’s batch of maple syrup (for science, of course). His maple syrup operation is part of a network of sugar shacks at research institutions and commercial operations from Quebec — the world’s largest producer of maple syrup — to Virginia. They are part of a project looking at the range of climate impacts on maple syrup. Selena Ahmed, a researcher at Montana State University who is spearheading the project, said maple producers have told her team that weather within the season is becoming more variable, causing more erratic sap flows and impacting quality. The vagaries of sap flow may not mean much to the average waffle enthusiast, “but what is happening to changes in quality? That’s the big research gap and consumers can relate the most to that,” Ahmed said. Ahmed is conducting a chemical analysis of syrup from the producers in the network to see how temperature shifts affect the compounds that give maple syrup its distinct flavor. This type of analysis will serve as a baseline for monitoring future changes to the syrup on your morning pancakes. Ahmed has done a similar analysis of tea and found changes are afoot. 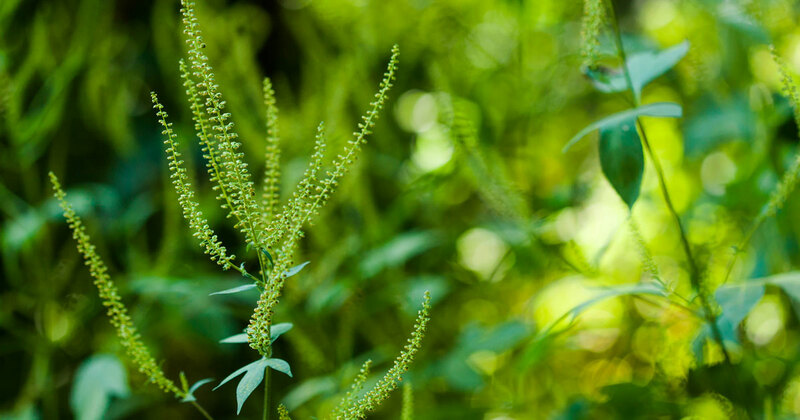 It’s likely that New England and Canada will continue to be viable regions for maple syrup production, even if the flavor changes, but Rapp warned that other threats could interact with climate change to create a challenge sugar maples might not recover from. 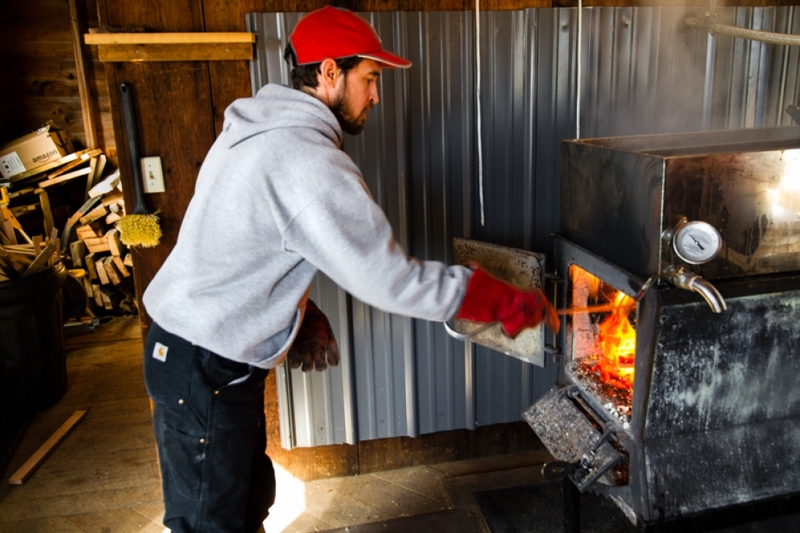 Joshua Rapp adds a log to the maple syrup evaporator at his sugar shack in Harvard Forest. 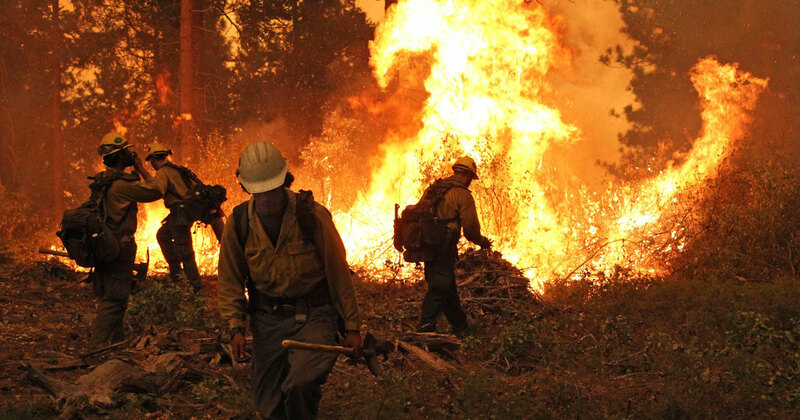 “The wild card is some other event that reacts with climate change that wipes out trees and then they can’t come back because the climate has moved north,” he said. The two biggest threats are the possibility of an invasive pest arriving that sugar maples don’t have defenses for and an increasing risk of drought and forest fires — scourges more associated with the Rockies than the Appalachians. “Even with climate change, we’ll likely have trees in the Northeast. They might not be happy or healthy, but people will still be tapping them,” Rapp said as he threw another log in the belly of his maple syrup evaporator.